Revel in that amazing feeling of finding hidden treasures after a successful geocaching adventure like my daughter’s teacher and his family did! I’m always on the lookout to find fun and interesting things to do with the kids…that doesn’t cost a fortune. 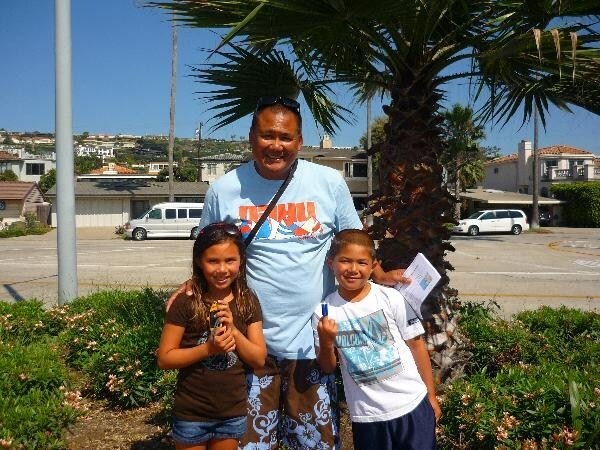 About a year ago, while the grandparents were visiting from Illinois, I decided to try Geocaching here in San Diego. For those that aren’t aware of this phenomenon, geocaching combines treasure hunting and GPS device, or better yet, your mobile phone. You can download one of the many geocaching apps onto your smartphone (I used this app) and start searching for geocaches hidden by others. The app uses your location and guides you to the location of the box. It’s so easy to use, that my 10-year-old is usually the one guiding us. You read the clues and find the box, inside you can sign a log, take a treasure someone left behind and replace it with one of your own. My son loves to bring LEGO figurines to exchange. 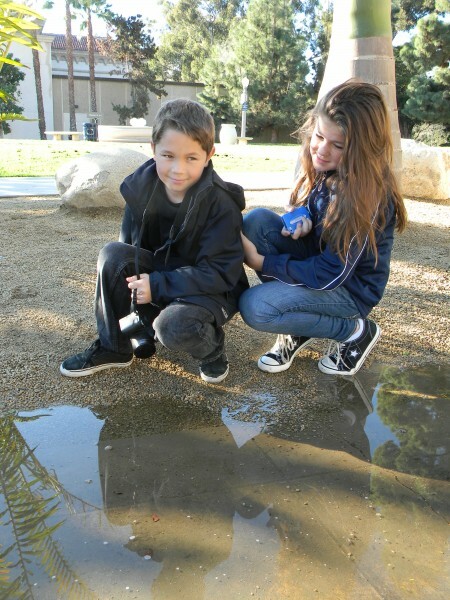 Geocaches are located throughout San Diego (and the world! 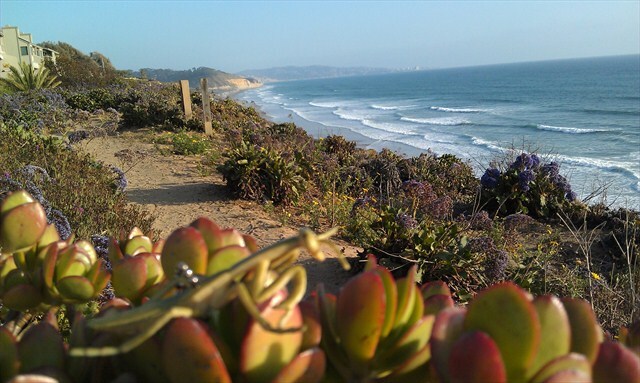 ), but we decided to go geocaching at our favorite locations near the beaches of La Jolla and Del Mar. Start out at in La Jolla at Ellen Browning Scripps Park’s Lifeguard Lookup. With a difficulty of 1 Star out of 5, this cache is in the middle of a very busy tourist area. At the coordinates you should see a green object, covered in words. What you need to find is Dr. Boggis’ name. The object commemorates a local body-surfer. His name reads vertically on the front of the box. 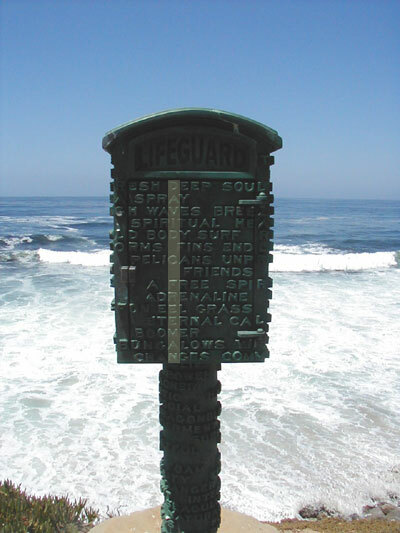 The other words are related to surfing, lifeguards, the ocean, and friendship. While at the Park, be sure to check out the sea lions and the amazing views! Next, drive north to La Jolla Shores where you’ll find a great beach for surfing, kayaking as well as, a playground and bathrooms. The cache you’re looking for is simply titled La Jolla Shores, again, only a 1 star difficulty rating. This should be an easy find. The person who placed it there simply stated, “I found a hole on the map where a quick cache and dash needed to be placed. This is a great beach in the summer and a great place for a picnic year round.” I couldn’t agree more. Last stop, Del Mar. After a quick 10 minute drive north, find Del Mar’s Sunset View. This has a slightly higher degree of difficulty of 1½ stars. Here you’ll find a great place to watch the surf, trains and the sunset. This location is in a mini garden with walking trails both to the north and south above the railroad right-away. The cache is on the trail to the south. We had a blast spending the afternoon by the beach and searching for “treasure.” Tell us in the comments below, what Geocaches have you found in San Diego? San Diego has often been called an ideal family vacation spot, because of its great weather, over 70 miles of beaches and all the wonderful attractions and museums in the city. Another bonus? Disneyland Resort, at just 100 miles away, is the perfect destination for a day trip from San Diego. Enjoying Disneyland for the day! My two kids got the excitement of a lifetime when they were surprised one morning and told we were going to Disneyland for the day. We hopped in the car and a little over an hour later, we arrived at the happiest place on Earth! 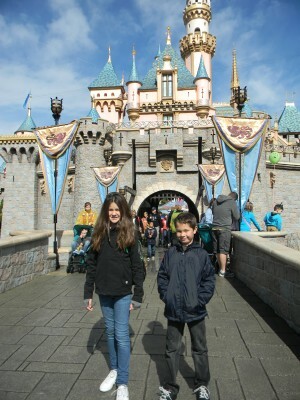 Even though they have been lucky enough to go before, their excitement is always through the roof since Disneyland and California Adventure always have something new. With our Park-Hopper tickets in hand, we made our way to California Adventure for our first stop, the new Cars Land! Step back in time for a walk though Radiator Springs. Cars Land genuinely feels like you are transported to Radiator Springs. There is Flo’s V8 Cafe serving Route 66-inspired comfort food, Luigi’s Tire Shop, where in the back of his shop riders hover on air by floating on “flying” tires, and the most popular attraction; Radiator Springs Racers. 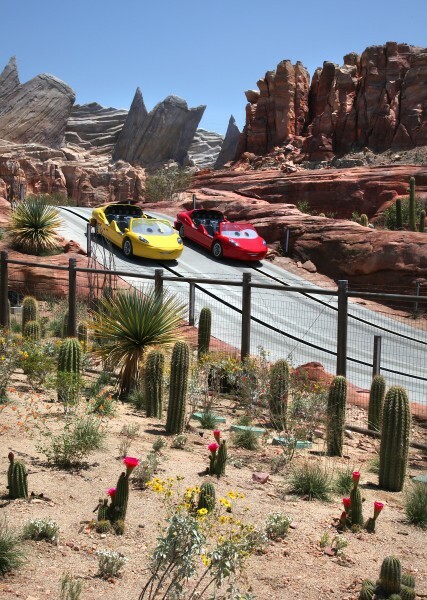 This ride will take you on a high-speed race through Ornament Valley, inspired by the first Cars film. Radiator Springs Racers offers a fast pass and I suggest getting one as soon as you enter the park. They were sold out by 11:00 a.m. on the day we were there. Our favorite ride outside of Cars Land is definitely Soarin’ over California. If you didn’t love California before this ride, you will after. 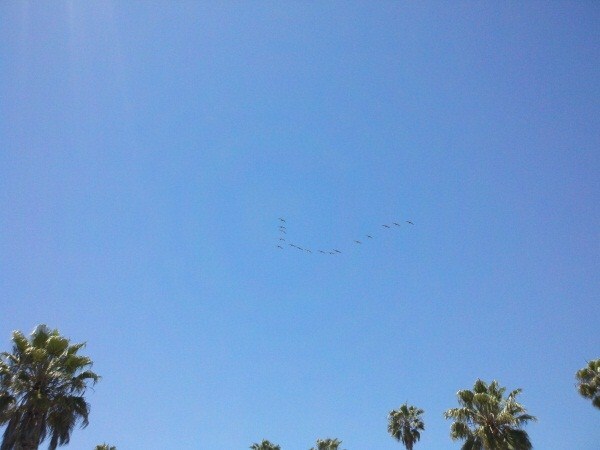 I have to go on this ride every time and get excited when we soar over San Diego! Pick up a Southern California CityPASS from one of the San Diego Visitors Centers or online and save up to 32% on admission to SeaWorld San Diego, Disneyland and Universal Studios (another easy day trip from San Diego). Add on CityPASS admission to the world-famous San Diego Zoo and save even more! I’ve been to Balboa Park countless times; visiting the museums, going on field trips with my kids, or simply enjoying the gardens. I thought I had seen it all…that is until I signed us up for a photo tour of Balboa Park. We went with Snap Photo Tours, who specializes in photo tours of some of San Diego’s best sights including: Balboa Park, Coronado, and the Gaslamp Quarter. 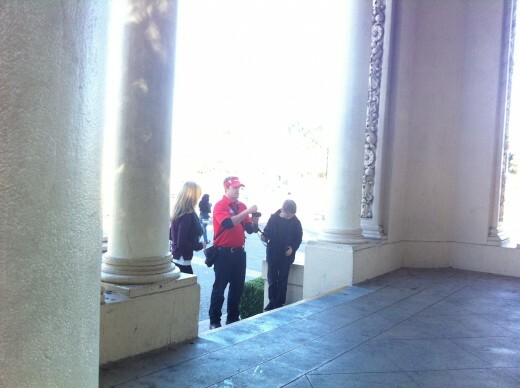 Their guides are just as much experts behind the camera as they are on the tours themselves. Learning the Basics with Snap Photo Tours. Our two-hour guided tour started with basic photo tips and how to avoid taking the “tourist shot” (which I’m sad to say I was guilty of). After learning the basics, we headed over to many of the famous and not so famous landmarks of Balboa Park learning a new “trick” for taking photos at each stop. From lighting, to angles, to framing, we were taking great photos in no time! One of my favorite stops was at the Organ Pavilion. I’ve walked past the Organ Pavilion numerous times, but never stopped to appreciate the details and lines of the building. My two kids ages, 9 and 11 loved the tour and had a great time. I think they actually took better photos than I did. My kids love celebrating NYE and each year they have every intention of staying up until midnight watching the fireworks or banging pots and pans. But it never works out that way; they get tired and cranky and frankly so do we! Luckily, many of San Diego’s attractions have thought of this and offer day and early evening New Year’s Eve celebrations for kids. 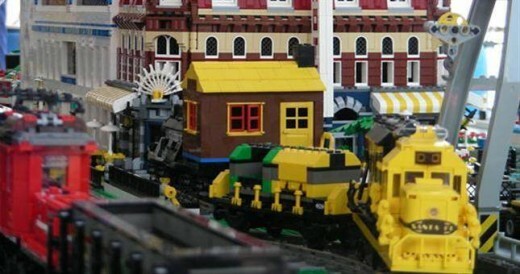 LEGOLAND Rings in 2013 with a bang. 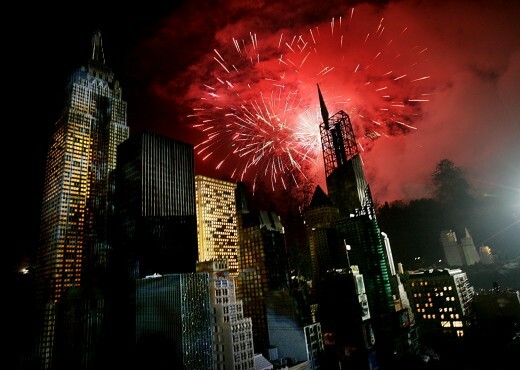 Like the famous Times Square party, Kids’ New Years Eve features a kid’s concert and countdown to the new year followed by a huge LEGO brick dropping 22 feet into 2013 and a dazzling fireworks display. Brick and fireworks start at 6:00 PM. 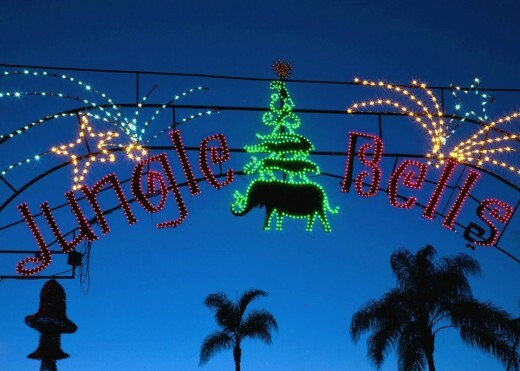 During the three-week Jungle Bells Celebration, the San Diego Zoo is transformed into a magical winter wonderland. Guests can enjoy a nightly tree-lighting ceremony, lighted animal displays throughtout the park, live animal shows, storytelling, and bell ringers. Open until 8:00 PM on New Year’s Eve. SeaWorld’s Christmas Celebration runs through January 5th. Park stays open until 9:00 PM and features SnowWorld, “Shamu’s Christmas” show, The Polar Express 4-D Experience and nightly fireworks. New Year’s Bash – Beats, Patterns and Rhythms! On Friday, December 28th, The New Children’s Museum will party all-day with music and dance performances, hands-on art workshops, live graffiti art and a member’s only celebration. This way you can celebrate the New Year with the kids on Friday and reserve Saturday for the adults! Book your spot at John’s Incredible Pizza Co. in San Diego’s South Bay so you can sit back and relax while the kids tire themselves out with an all-you-can-eat buffet all night long, along with drinks, rides and prizes. 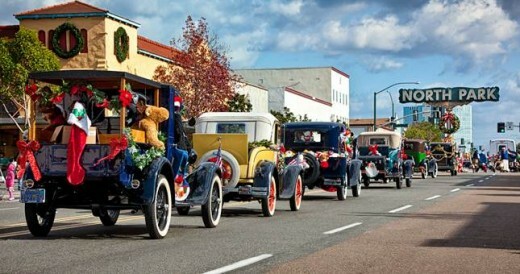 At midnight, the excitement continues with the IncrediBear Horn Parade and the ball drop on the big screen. If you love holiday lights, grab some hot cocoa; throw on a scarf because this is your weekend! Between Balboa Park’s December Nights to the San Diego Bay’s Parade of Lights, visitors will surely be in the holiday spirit with all these wonderful things to do! This popular park-wide Christmas celebration features carolers, entertainment, ethnic food and crafts. Cost: Free. Free admission to museums begins after 5:00 PM. Mission Bay Lights Up during the holiday season. 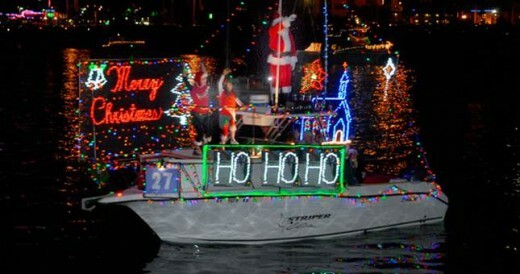 This popular boat parade begins at Quivira Basin. Best viewing will be from Crown Point, east side of Vacation Island or the west side of Fiesta Island. The parade ends with the lighting of the SeaWorld Skytower Tree of Lights at 9:00 PM. 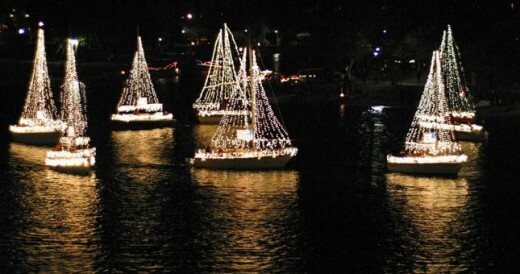 The spectacular Boat Parade of Lights feature individually holiday decorated private crafts. 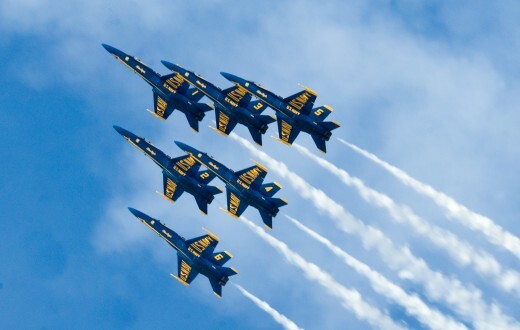 The parade starts at the southwest end of Shelter Island, travels past Harbor Island, the Embarcadero, Seaport Village, the Convention Center, the Coronado Ferry Landing Marketplace and ends at the Navy Carrier turning basin. 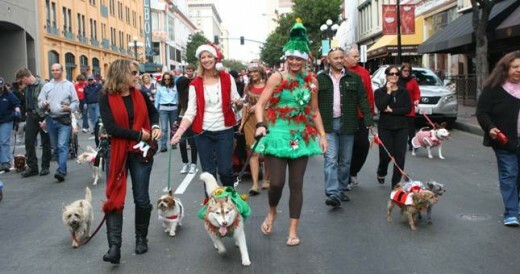 Everyone with 2 to 4 Legs will have fun at the Gaslamp Holiday Pet Parade! San Diego’s furriest festive parade returns to Downtown as the Gaslamp Holiday Pet Parade presented by Downtown Ace Hardware takes over the streets of the Gaslamp Quarter. All pet owners and their furry, featured and scaled companions are invited to don their favorite costumes and put their best paw, wing and fin forward for this jolly promenade and pet expo. Cost: Free to View. $15-$20 to participate. Colorful altars and other traditional celebrations of Day of the Dead, one of Mexico’s most revered and festive holidays, return to Old Town San Diego. This community-wide commemoration, which honors ancestors and other deceased loved ones with special menus, music, dancing and crafts, is free and designed for all ages. 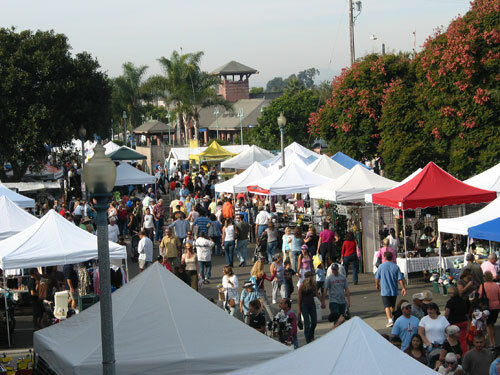 Head up to Carlsbad on Sunday, November 4 for the largest one day street fair in California. 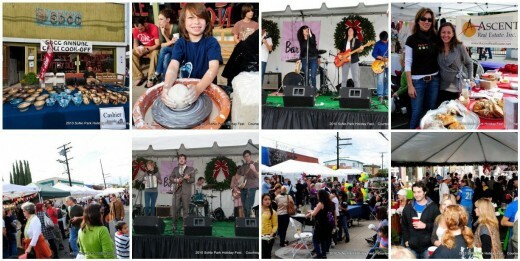 The Faire features over 800 exhibitors, international food and live entertainment. 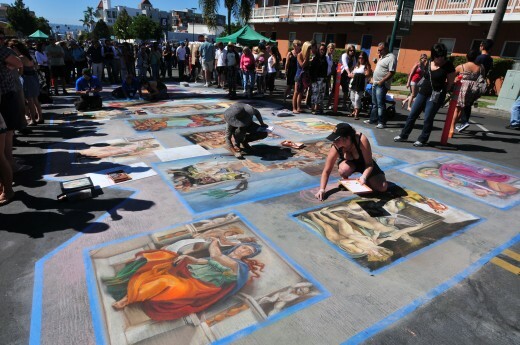 The free Fall Back Festival brings the history and culture of the Gaslamp Quarter and Old San Diego alive for children and families. The event features entertainment such as a Wild West Shootout, hayrides, ice cream eating contest, clog dancing and food. The San Diego Asian Film Festival is one of the largest exhibitions of Asian international and Asian American cinema in North America. Along with narrative features, the nine-day Festival also showcases documentaries, short films, and animation. 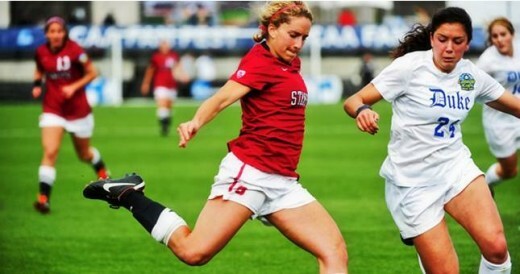 Screenings take place at the Mission Valley UltraStar Cinema with tickets starting at $11.50. 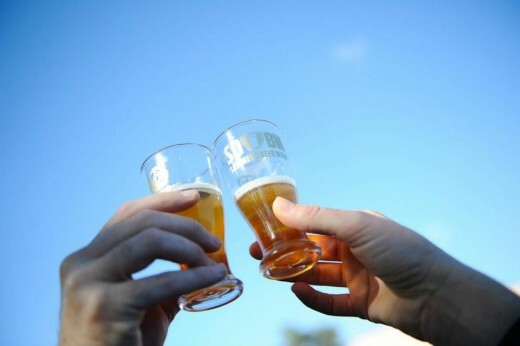 The San Diego Brewers Guild Festival kicks of San Diego Beer Week (SDBW) this Saturday. SDBW is a ten-day celebration inspiring people to drink local, craft beer and promoting San Diego’s thriving brewing culture. With over 317 events throughout the week, visitors are sure to get their share of San Diego’s best brews. 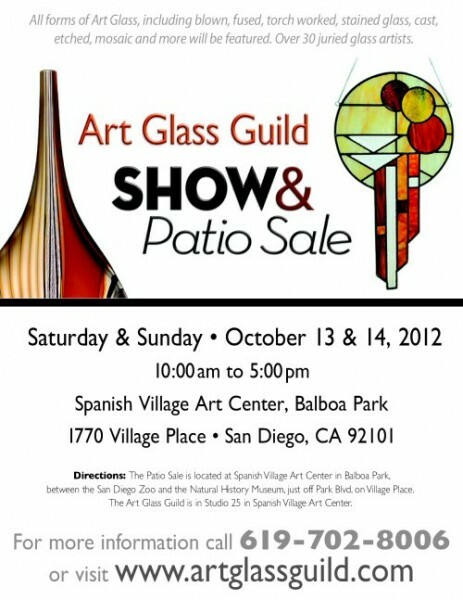 Know of any other great events going on in San Diego? Let us and other know about them in the comments below. Break out your costume and celebrate because it’s the last weekend before Halloween! 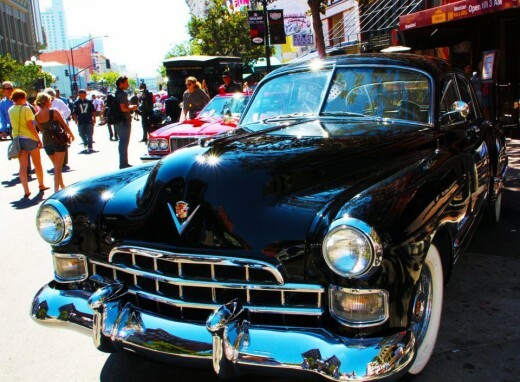 Between family days at Balboa Park to a Monster Bash, everyone will find something to do this weekend. 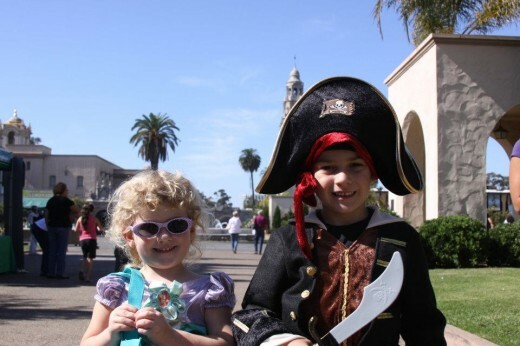 Over a dozen museums are treating families to free admission for children 12 and under during the 4th annual Balboa Park Halloween Family Day on Saturday, October 27. In addition to free children’s admission with a paid adult, participating museums and cultural attractions will present a spooky array of hands-on activities, crafts, special tours, storytelling, and other free goodies. 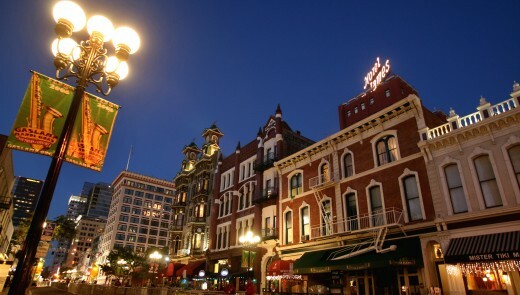 Head to the Gaslamp Quarter this Saturday and share in the Halloween fun with music on the entertainment stages, dancing, costumed characters, costume contest and more. Open to adults, 21 years and older. Tickets are $30 in advance, $35 day of show. The driver never made it through the Haunted Trail! Photo courtesy of Mike Rollerson. 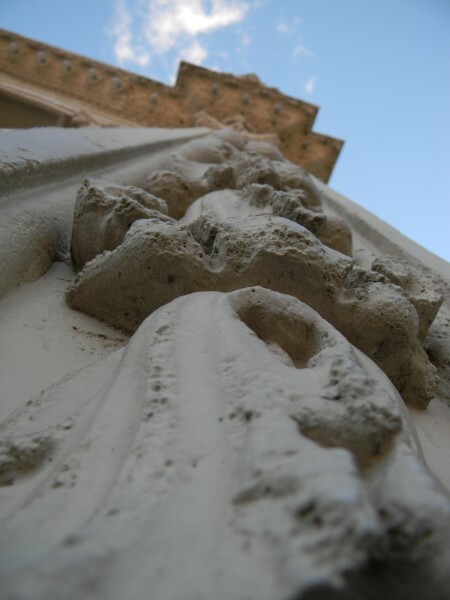 The Haunted Trail of Balboa Park is a stroll you will never forget. As you walk the mile-long Trail, spine-tingling sights and sounds will leave you trembling. Among the twisted grove of pines and gnarled oaks along the trail, you’ll experience terror that is simply too big to house indoors. Watch your back and keep close to your companions because you never know which way the terror will hit you. 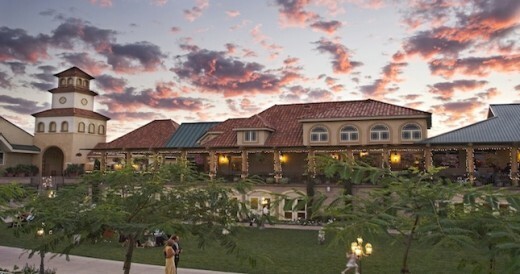 Find out why the wine is red…at the South Coast Winery! South Coast Winery has paired up with the “ghouls and goblins” from its Vineyard Rose Restaurant and its Winery, enhancing the ‘original’ Behind-the-Scenes Tour and adding a “Spook-tacular” Tour. Starting out in the vineyards, then the proceeding to the haunted halls of the winery, one never knows who or what will appear before you to serve up the wines for tour participants and just how it will be delivered. The tour concludes in the winery’s cellar, tucked away in the private Carter Reserve Room, for more haunted happenings. Discover what lurks beneath the surface at Haunted Birch Aquarium: Shipwrecked! Enjoy close encounters of the fishy kind, BOO-gie down with Billy Lee and the Swamp Critters, and explore our wreckage for sunken treasures. Wander the aquarium’s galleys for tricky treats and discover a sea of glowing creatures while having a monstrous good time. Dress to impress! > Find out more about the Haunted Aquarium: Shipwrecked! Halloween isn’t just for the 31st anymore, especially if you have kids. Browse the list for fun things to do with your kids this Halloween season. 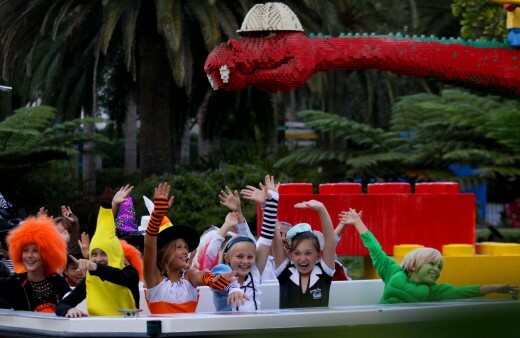 Cruise on over to LEGOLAND California for Halloween Fun. Halloween fun for kids isn’t just on the 31st anymore. Browse the list for fun things to do in San Diego with your kids this Halloween season. on Zone. Be sure the little ones come in costume; prizes will be given for Best Pirate, Most LEGO Themed and Most Creative. And visitors who stay until 9:00 PM will be treated to an awesome fireworks display! 2. Haunted Birch Aquarium: Shipwrecked! Ghouls and buoys of all ages are invited to spend a safe and “spirited” Halloween with the Birch Aquarium at Scripps. Discover what lurks beneath the surface and soak up spooky science activities and explore the aquarium’s “wreckage” for sunken treasures. Kids can come in their costume for a chance to win great prizes! > Find out more about Haunted Birch Aquarium: Shipwrecked! Who’s the Fairest Pumpkin Princess at SeaWorld San Diego’s Halloween Spooktacular? During SeaWorld San Diego’s Halloween Spooktacular, kids can meet some spooky and not-so-spooky animals, pose for pictures with mesmerizing mermaids and trick-or-treat in a sea-inspired atmosphere. The Star of India at the Maritime Museum of San Diego is place to be on for all aspiring ghosts, goblins and princesses to gether for some ghostly tales of enormous proportions. Creepy treats will be given to all who dare attend and kids are encouraged to wear costumes. Head over to Balboa Park for a Park-wide Halloween celebration. There will be Halloween-themed family activities in the museums from 11:00 to 3:00 PM as well as booths along the Prado with activities. Know of any more great Halloween fun for Kids in San Diego? Let us know in the comments below.